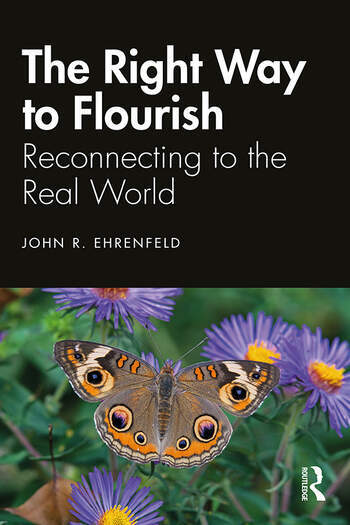 In this ground-breaking book, pre-eminent thought leader in the fields of sustainability and flourishing, John R. Ehrenfeld, critiques the concept of sustainability as it is understood today and which is coming more and more under attack as unclear and ineffective as a call for action. Building upon the recent work of cognitive scientist, Iain McGilchrist, who argues that the human brain’s two hemispheres present distinct different worlds, this book articulates how society must replace the current foundational left-brain-based beliefs – a mechanistic world and a human driven by self interest – with new ones based on complexity and care. Flourishing should replace the lifeless metrics now being used to guide business and government, as well as individuals. Until we accept that our modern belief structure is, itself, the barrier, we will continue to be mired in an endless succession of unsolved problems. John Ehrenfeld retired in 2000 as the MIT Technology, Business, and Environment Program Director. After retiring, he was Executive Director of the International Society for Industrial Ecology until 2009. He is author of Sustainability by Design and co-author of Flourishing: A Frank Conversation about Sustainability.